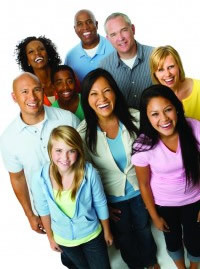 The Cultural Diversity Program bridges culture and language barriers making services available to people of all cultural backgrounds by providing advocacy for immigrants, providing technical assistance to agencies and the community, and maintaining an electronic library which contains cultural information as well as health and mental health information in different languages. The Mental Health Interpreter Program (MHIP) has trained and certified interpreters and translators to provide needed services to local agencies. At MHAST we focus on the population of SPMI (Seriously Persistently Mentally Ill), people at-risk, and children with SED (Seriously Emotionally Disturbed). This program makes available these services to people of all cultural backgrounds, in order to fulfill their mental health needs. Program staff and interpreters advocate for improved communication and understanding between the community and individuals participating in the program. They also participate on different committees to advocate for people with Limited English Proficiency (LEP) as well as people from diverse backgrounds. 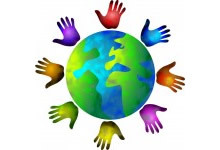 The Cultural Diversity Program has trained mental health interpreters from diverse cultural backgrounds. The interpreters embrace a code of ethics that respects individuals and fosters their success. The program staff have access to an Electronic Resource Library which contains health and mental health information in different languages. Providers, consumers and family members can contact us at MHAST for the information.